Residential customers and online orders please go to FilterDirect for ordering replacement parts and filters for your RO system. 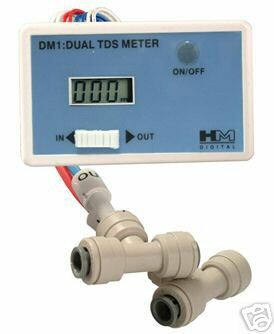 It measures the total dissolved solids in terms of ppm. 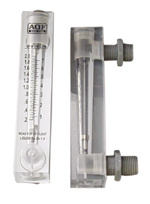 Use the meter to measure water purity, and monitor the performance of RO or DI systems. Dimension: 6" X 1.25" X 1"
Dimension: 5.5" X 1.25" X 1"
* Displays TDS levels of the feed water and product water with in & out electrode probes. * Highly efficient and accurate due to its advanced microprocessor technology. * Auto-Off function conserves battery power. 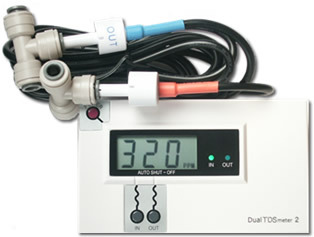 The unit shuts off automatically after 10 minutes of non-use. 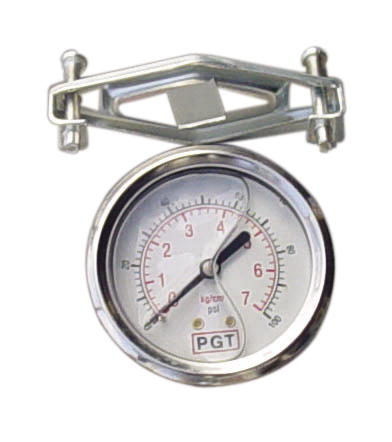 * Factory Calibrated: our meters are calibrated with a 342 ppm NaCl solution. 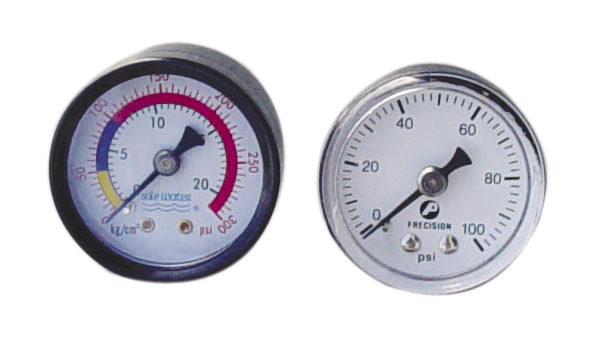 Meters can be recalibrated with a mini-screwdriver. 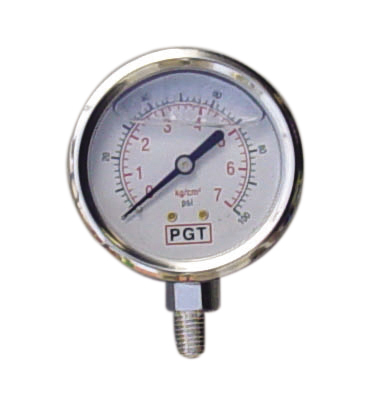 * Equipped with John Guest Quick-Connect T-fittings as shown. 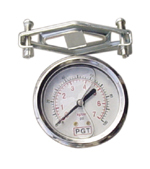 * Designed for commercial/industrial applications. * Calibration can be done individually or simultaneously on each line. * Improved design, including an extra large, easy-to-read LCD display. * Longer, waterproof, shielded cables. Features:Fast and Accurate ; Simple to use ; Auto digital calibration ; Water resistant ; Durable ; Large display ; and much more.